DESCRIPTION VERY ATTRACTIVE FLOOR PLAN AROUND 2600 SQ FT , IN LIVING SPACE ,WITH STUNNING OPEN CONCEPT DESIGN, MAIN FLOOR CONSIST LIVING /HUGE KITCHEN WITH BUILT IN HIGH TECH KITCHEN CUPBOARDS , WITH QUARTZ MADE ISLAND , THE FAMILY ROOM COMES WITH LARGE BRIGHT WINDOWS , WASHABLE OAK HARD WOOD FLOORING , GAS F.P...THE SECOND FLOOR CONSIST OF THREE GOOD SIZE BERMS , THE MASTER HAS 5 PIECE IN SUIT & WALK IN CLOSET..THE BASEMENT FULLY DEVELOPED WITH HUGE MEDIA AREA ,WET CORNER BAR , 4TH BDRM & LARGE BATHROOM ...MINUTES TO U OF C . LRT, SCHOOLS , CITY TRANSPORTATION , SAIT , SHOPPING'S & THE BUSY NIGHT LIFE OF THE 16 TH AVE..GREAT DEAL, BELOW REPLACEMENT VALUE ..VACANT FOR IMMEDIATE POSSESSION ( property tax Amount-will be verified )for appointment go direct.. 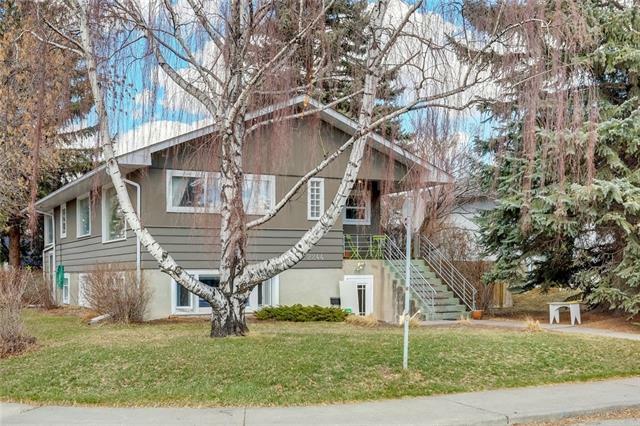 VERY HANDY LOCATION , CLOSE TO U OF C , LRT ,SCHOOLS , CITY TRANSPORTATION , SAIT , SHOPPING CENTERS & THE BUSY NIGHT LIFE OF THE 16 TH AVE ...VACANT FRO IMMEDIATE POSSESSION..
Home for sale at 2320 25 AV Nw Calgary, Alberts t2m 2c3. Description: The home at 2320 25 AV Nw Calgary, Alberta t2m 2c3 with the MLS® Number C4224346 is currently listed at $734,900.